The Ministry of Infrastructure and Water launched a framework agreement for advisory and engineering services. 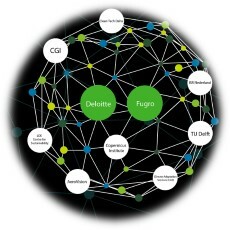 The consortium consisting of Deloitte and Fugro as lead partners and Clean Tech Delta, CGI, University of Utrecht, LDE center for sustainability, ISR, Climate adaption services, and Earovision, aims to establish agreements for the execution of these projects. Policy regarding soil and ground. Clean Tech Delta will use this framework agreement as a means to distribute concrete project proposals among the members and knowledge partners.